25 single use, or disposable cameras with black and white film just arrived in the mail. Whatever could I do with them? What is …film? Where is the sepia button? I can’t take good pictures without that! Seriously, though. We’re going to be handing them out to children during our next trip to Tanzania. 25 cameras x 27 exposures is 675 photos, give or take a few. It will be interesting to see if even one of them turns out nicely, although we should always re-evaluate what it means to have a “good photo.” The point is not to get amazing images, but to give a child a chance to have a little fun with a camera and get some photos that they can keep. I’ll then scan the negatives and upload them here, and it should give us a glimpse into the life of a child that this old, fat mzungu wouldn’t be able to show you. I planned to do this last year, but failed to find the right disposable cameras. Black and white disposable cameras are getting harder and harder to find, but luckily I found enough here. Strangely enough, the cameras advertised on their site look a lot different then the ones I got. 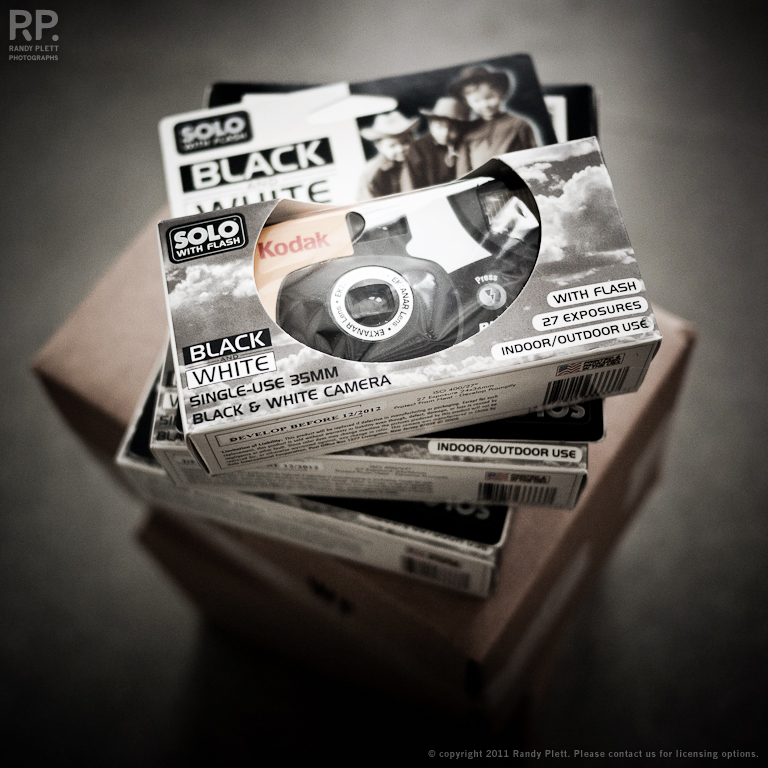 The camera inside the box is branded by Kodak, but the box has a “SOLO with flash” logo on the front, with no mention of Kodak at all.